Are you looking to start a website, but not sure which domain name to use? Picking the right domain name isn’t easy. Specially when you come up with something unique, memorable, and meaningful only to find out that it’s already taken. 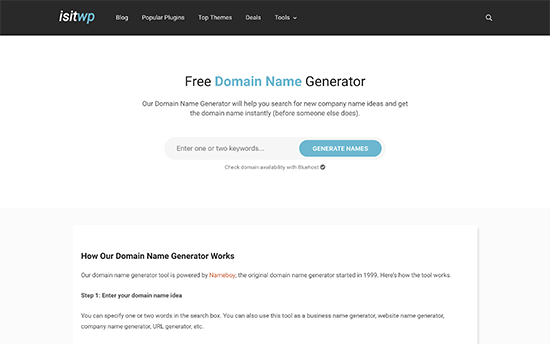 In this article, we will share the best free domain name generators to help you find the perfect domain name for your business. 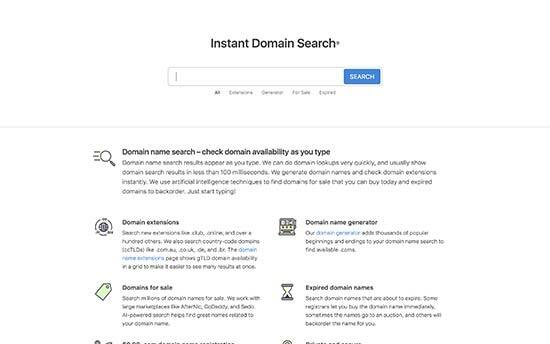 Before we start looking at domain name generators, we want to share few domain name best practices as well as show you how you can get your first domain name for free! A domain name is your website’s address on the internet. This is what people type to get to your website (such as google.com or wpbeginner.com). To learn more, see our beginner’s guide on domain names and how do they work. Now that you know what a good domain name should have, you might be wondering how much does a domain name cost? Domain names typically cost around $14 per year (that’s for .com). If you get other obscure extensions, then they’ll cost you even more. Chances are if you’re looking for a domain name, then you’re trying to start a blog or website which means that you also need web hosting. See our guide on the difference between domain names and web hosting. We recommend using Bluehost. They are one of the largest hosting companies in the world, and they are offering WPBeginner users a free domain name + 60% discount on hosting. Basically, you’ll be able to get started for $2.75 per month. Bluehost is one of the largest hosting companies in the world and officially recommended WordPress hosting provider. Note: This exclusive discount offer only works when you click on the link from our site, so use the domain name generators below to find the domain name that you like, and then come back to our website to claim the offer. For more details and step by step instructions, see our article on how to register a domain name. 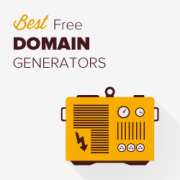 Having that said, let’s take a look at the best free domain name generators on the internet. 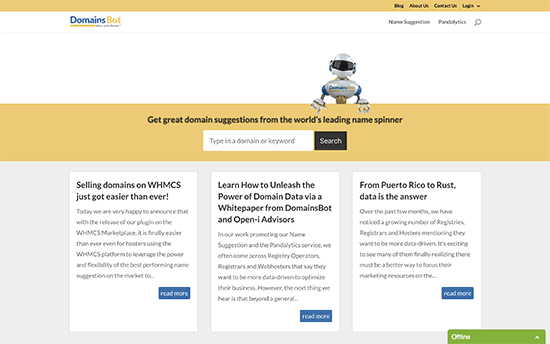 These domain name generators are artificial intelligence, so they are not perfect. However they are good enough to get the creative juices flowing in your head, so you can pick the best domain name for your website. 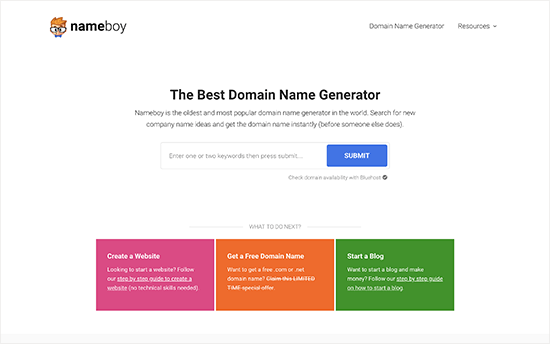 Nameboy is one of the best domain name generators around. 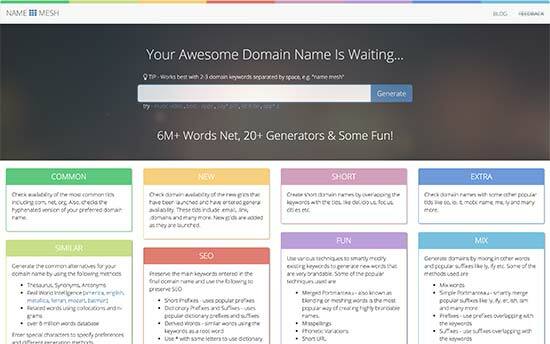 Simply enter your keyword and it will generate a ton of clever domain name ideas for you. Click on any domain name to view details or complete your registration by following the instructions. It is blazingly fast which helps you search through more domain name ideas in less time. 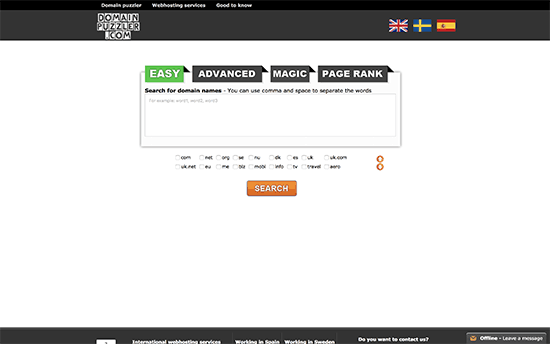 IsItWP offers a fast and instant domain research tool. Start by entering a few keywords or your brand name and it will display a ton of domain ideas using a variety of combinations. You can refine your search, start a new search, or click on show more results to view even more ideas. Shopify is known for offering free tools to its visitors and the Business Name Generator tool is a good one. There isn’t a ton that sets this tool apart from the others in terms of features, but it’s one of the quickest and easiest to use. If you’re looking to start an online store, then you may want to check out comparison of Shopify vs WooCommerce as well as see our list of the best eCommerce plugins for WordPress. 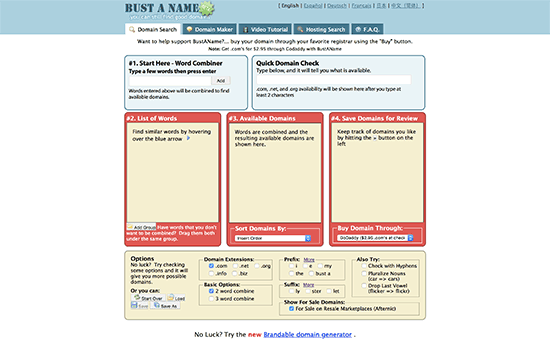 Domain Wheel is another awesome domain name generator that lets you find good domain name ideas. They also combine their search with random ideas, names that sounds similar to your search, rhymes with your search, and some other random ideas. While the tool’s layout and design may not be as attractive as some of the more modern tools, don’t confuse its bland look with a lack of results. 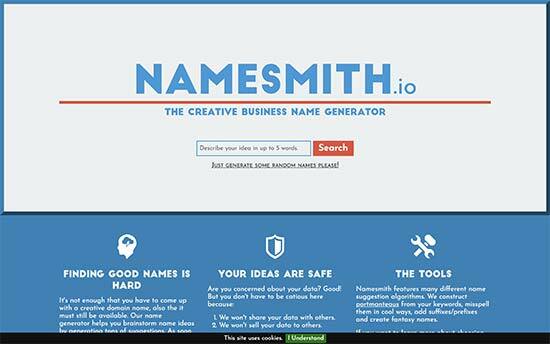 Bust a Name has a ton of features that other tools simply don’t have. These include the ability to set prefixes, suffixes, hyphens, plurals, and even the option to drop the last vowel of a word. One of the neat things about DomainsBot is that it will actually notify you when a domain name that’s currently taken is about to expire. This gives you the ability to earmark certain names and possibly claim them if they do end up expiring. 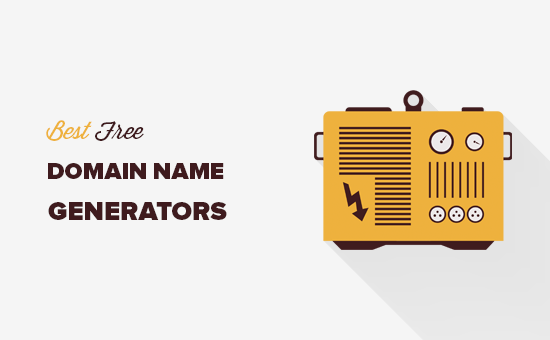 NameStation is more than a domain name generator, it’s a community. 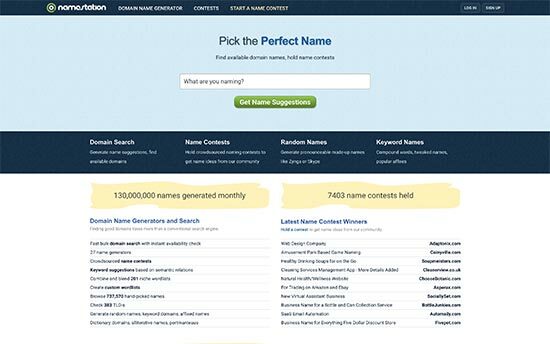 In addition to searching for domain names, you can also host a contest and crowdsource name suggestions. So, not only are you getting automated results, but you also get creative input from other people. 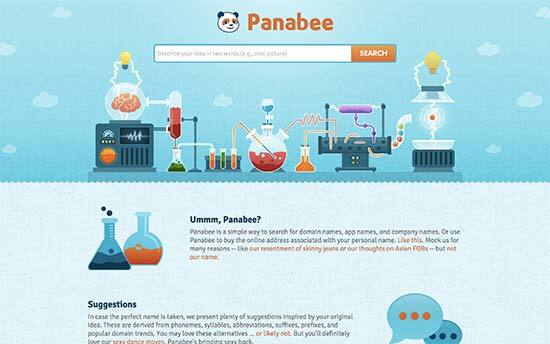 Panabee is aesthetically pleasing, which matters to some people. It also gives you a list of related terms, which can help point you in another direction. An added bonus is the feature that checks social media usernames on Facebook, Twitter, Instagram, and Tumblr. 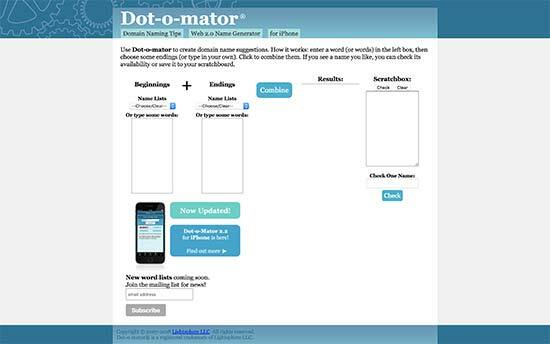 Considering the simple look of this generator, Dot-o-Mator is fairly functional. Start by developing a list of beginning words and then create a list of endings. Hit the combine button and you’ll get a bunch of results. There’s even a mobile app so you can generate names on the go. 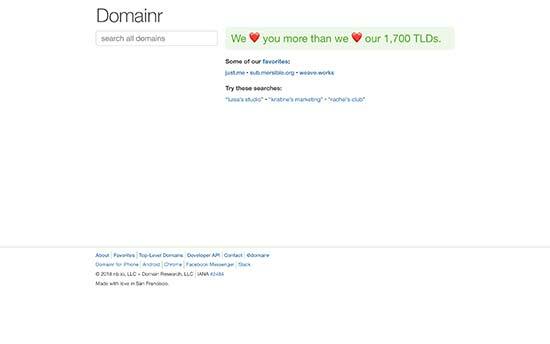 Domainr doesn’t mess around with superfluous elements or functions. It’s designed to be a tool that you can access and use in just a few seconds. It produces a handful of available top-level domains and then ranks the best purchase options based on name, features, and price. 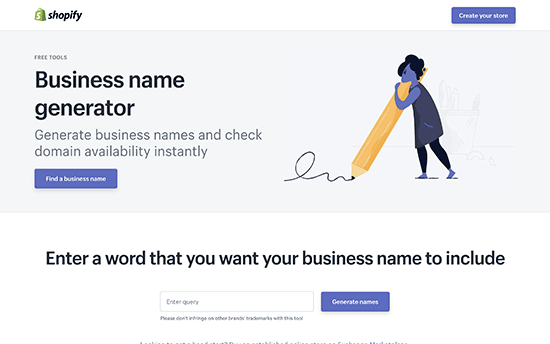 There’s some speculation amongst online entrepreneurs that name generators record your searches and then use that data in the future to purchase certain domain names that they feel like they could resell at a higher price. Whether that’s true or not, nobody knows. However, Namesmith doesn’t make you speculate. They promise not to share your data or sell it to others. All keywords are promised to be safe. Some people just want a simple interface that does everything for them. If you fall into this category, Domain Puzzler is a good option. Type in a bunch of words, set your extensions, and you’re ready to roll. If you want some more advanced sorting options, you can always select the “advanced” tab. As the name suggests, Instant Domain Search is a super fast almost instantaneous search tool. It starts showing you results as soon as you start typing. It also tries to show different variations and combinations as you type. Once you have chosen your domain name, the next thing you need to choose is the best WordPress hosting, so you can setup your website. We have a step by step guide on how to install WordPress to help you get started. You may also want to consider creating a business email address for your website (such as name@yourdomain.com). Once your website is ready, you may want to use these 19 actionable tips to drive more traffic to your new site. That’s all. 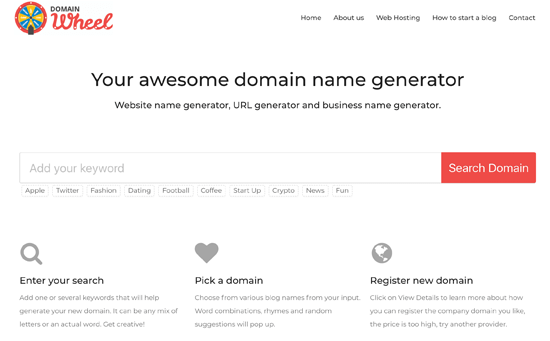 We hope these domain generators helped you pick the best domain. If you want to continue learning WordPress, check out our guide on how to learn WordPress for free in less than a week. “14 Best” sounds like a list of all the ones you could find. “2-3 Best” would be a “Best List” where you have actually compared and come up with the Best ones. This can be interesting to check out, even we have domain name.